I've lowered our goal because I think 1,000 will cover it. Thank you so much for your support. 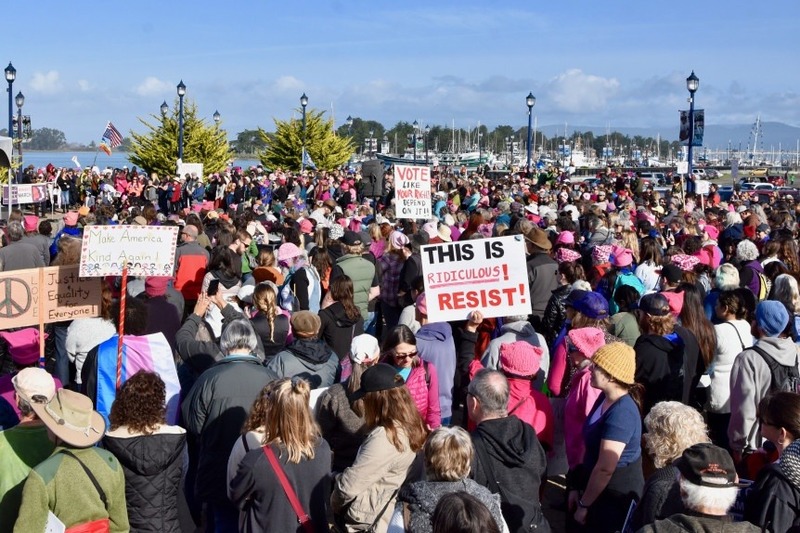 The 2019 Women's March Eureka is an important event to many, because of this a small group of women headed by Linda Atkins and Kathy Srabian is putting together a march. We are not an organization, we are not a committee, we are women, neighbors, Eureka citizens, with a strong desire to create the third annual Women's March. This GoFundMe request of $1,200 is our estimate of our costs for the event permit, insurance, a few portable toilets and a sound system. I am so thankful for the donations already made. Kathy Srabian will have receipts available for anyone who wishes to see where the money has gone and should there be any extra left over it will be donated to an organization that helps women dealing with domestic violence. The Women's March was able to happen this year. Many have thanked me but it was the community that held it up and supported it. Donations reached $1,115.00. Our costs were $889.00. A donation for $300 will go to one of the local organizations that help women suffering from domestic violence. I will let you know which organization has been chosen after I look into it a little more. If you have suggestions please let me know.